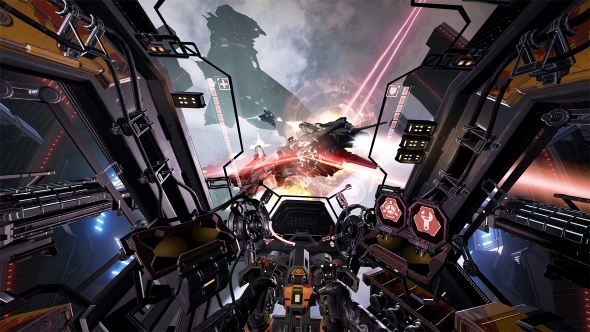 Eve devs CCP took a big bet on virtual reality, with Eve: Valkyrie being one of the platform’s early flagships. That changed in the last year with the closure of their key VR studios in Atlanta and Newcastle, and CEO Hilmar Veigar Pétursson has now addressed that decision. Escape into strange immersive lands with the best VR games on PC. The news is a blow for VR fans, as CCP have invested heavily in the medium and given it some of its few recognisable franchise games. CCP Newcastle was picked up by Sumo Digital, a leading UK indie studio. They are now collaborating with CCP on Project Nova, a multiplayer FPS that will eventually tie in to Eve Online.